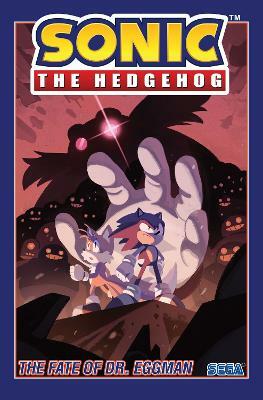 Plus, Sonic isn't the only one looking for Eggman--so's his old frenemy Shadow the Hedgehog! There are twists and turns in the course of this high-speed, action-packed mystery-adventure! But with a little help from his friends--including a new ally--Sonic's fast enough to overcom... read full description below. Following their last battle, Dr. Eggman's been mysteriously absent from Sonic's life. What shocking secret will Sonic discover when he learns the bad doctor's whereabouts? Plus, Sonic isn't the only one looking for Eggman--so's his old frenemy Shadow the Hedgehog! There are twists and turns in the course of this high-speed, action-packed mystery-adventure! But with a little help from his friends--including a new ally--Sonic's fast enough to overcome any obstacle! Collects issues #5-8 of the ongoing series. Ian Flynn is a freelance writer for multiple forms of media. He's also that Sonic guy as his portfolio of Sonic the Hedgehog work makes abundantly clear. He was born and raised in Charlotte, North Carolina and is currently based out of Toronto, Ontario, with easy business ties to both sides of the border. In addition to writing, he's part of a podcast/gaming channel series called the BumbleKast.